On a lively New Year’s Eve, under the moonlight and in the company of her best friend Cassie, all Lia wished was to be the leanest girl in school – not the most popular, not even pretty, but the thinner one amongst them. She only desired to be the thinner among all the girls in her college. What seemed like a silly and childish wish became the mantra of these girls, who were lost in complicated and confused family relationships, and found in each other, and in their utopian goals and dreams of thinness. The refuge of a friendship that accepts, supports and never abandons … at least not until Cassie was found alone and dead in a motel room. The young woman’s death shook everyone around her by harshly exposing the gravity of her former state, a fact that shocked her parents, proved the true level of friendship of those around her and especially, increased the volume of voices that beat in Lia’s ear: Cassie asked for help and you did not hear! 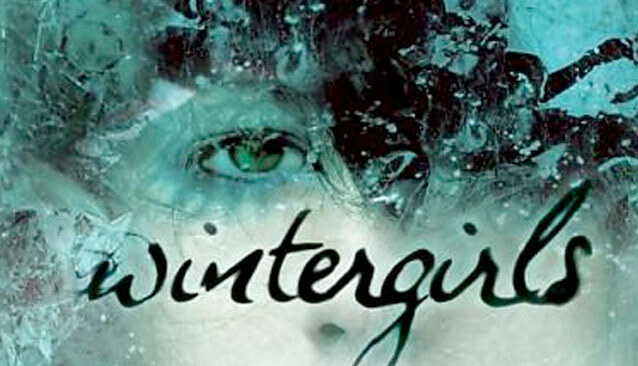 We became the Wintergirls, and when she tried to leave, I pulled her back into the snow because I was afraid of being alone. The story is told from Lia’s point of view from the death of Cassie, so we immerse ourselves in the current life of the protagonist at the same time that, according to her mood swings, we unravel her past by the mentioning of some of her memories. It is with these memories that the mystery of Cassie’s death takes on a face and a name, allowing the book to take on a distressing, painful, and very real character. Delinquency, recklessness, drugs, neglect, loneliness, anorexia, bulimia, self-flagellation, words that are easy to describe separately, but try to put them together in a single word, try to imagine all this trapped and rooted in an anguished and lost heart – Would you give in to that monster? At this point what really happened to Cassie is secondary, because what matters is the reason that led the young woman to have that end, a conclusion that seems to be around the future of Lia and that therefore obscures the book in such a way that it is impossible not to feel possessed and dominated by the darkness that dominates these young women. Lia counts the calories of everything that she eats, and although the author does not say it, she demonstrates it; Lia looks in the mirror and sees a fat, ugly, stupid, stupid young woman, but the author does not say that. She writes and writes and writes until there is no doubt of what she sees in the mirror; Lia cuts herself to feel the pain and depression drain from her body, except the author does not mention it, she tells it as if she had already been through it. Lia touches her ribs and only sees lard; Lia wants a piece of chocolate, a delicious piece of cake, a juicy slice of pizza, but she’s strong, she does not need it. To be empty is to have power, to overcome hunger is to have power, and you know how I know it? Because I plunged into Lia’s mind, I read about her paranoia, about her fear, about her mistakes and about her illness. All this is because the author was smart and talented enough to describe Lia’s condition and not just quote about it. Nothing I have ever read has made psychological disorders (food, physiological, and alike) described in this book as real as they seem to me now. It is as if my eyes had been opened to the pain that afflicts those who go through it. This is not an easy book, nor light and calm. I lost sleep, and I was disturbed, I felt troubled and I cried like a child. My only caveat is that there is a fantasy aspect present in the plot, something related to the way Lia sees the reality around her that bothered me. At first it seemed obvious to me that it was a deviation from reality, but in the end the author gives another explanation for this. It seems that this psychological aspect is not characteristic of all young people with anorexia, but only of Lia, which seemed to me contradictory in a certain way. In any case, the book is incredibly stifling and enlightening. Another work of the author that surprised me and gave me an ice cold bath to portray with such clarity the reality of countless young people scattered around the world.